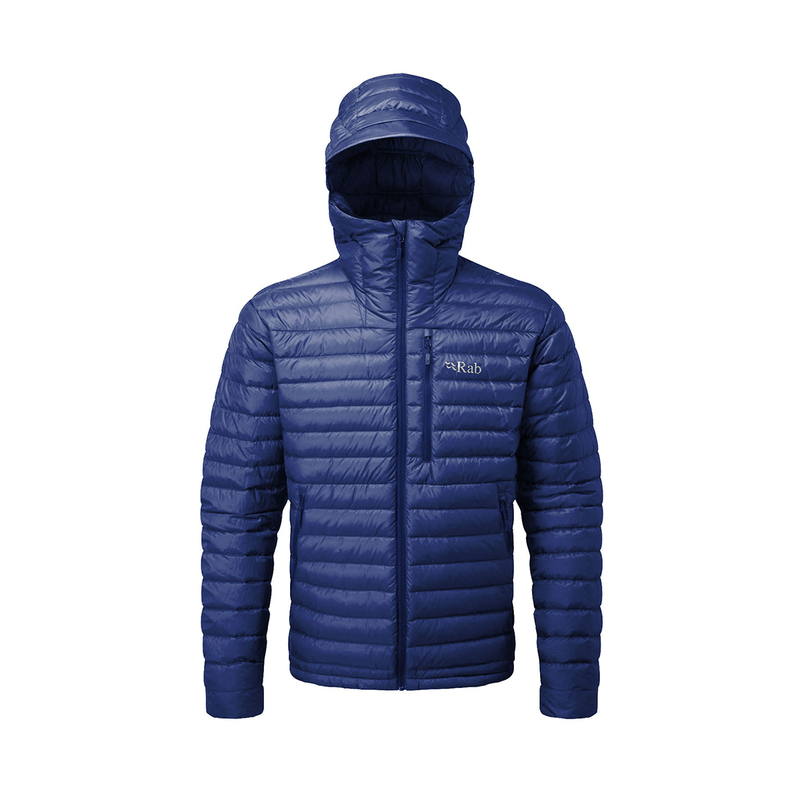 Rab’s Microlight Alpine Jacket is a no-fuss, light and packable insulating jacket designed for versatility and layering in an alpine environment. Constructed from super lightweight, weather- and abrasion-resistant Pertex Microlight nylon and insulated with 750 fill hydrophobic down, it's mega compressible and packs easily into the chest pocket for simple and easy transportation. A slim fit makes for efficient insulation and comfort under a hardshell, while other handy features include YKK zips, two hand pockets, lycra cuffs and a wire-brimmed hood. Flurocarbon-free DWR is Rab’s exclusive water repellent coating. It works in the same way, and just as effectively as other DWRs, except it doesn’t contain harmful flurocarbons. Instead it is made with a more neutral carbon strain, which won’t harm the surrounding environment during or after production.